Advances in the prevention and treatment of an often fatal condition called bacterial meningitis appear to be paying dividends in the United States, report infectious disease experts at The University of Texas Health Science Center at Houston (UTHealth) in the journal The Lancet Infectious Diseases. An analysis of a national inpatient database revealed a significant drop in prevalence and mortality following the introduction of two preventative vaccines and a complementary treatment. Bacterial meningitis attacks tissue covering the central nervous system and can lead to neurological disability or even death in approximately one in five people affected. The germs that cause bacterial meningitis can be spread by coming into contact with an infected person in the community or after undergoing a neurosurgical procedure in a health care facility. To gauge the impact of steroid therapy introduced roughly a decade ago,Rodrigo Hasbun, M.D., senior author and associate professor in the Division of Infectious Diseases at the UTHealth Medical School, analyzed a database of more than 50,000 people treated for bacterial meningitis between 1997- 2010 in the United States. 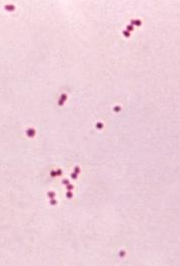 S. pneumoniae remains the leading cause of bacterial meningitis, according to their analysis. However, when researchers compared the cases reported in 1997 to those in 2010, they found a 63 percent drop. Likewise during this 14 year period, there was an 86 percent drop in another type of bacterial meningitis – Neisseria meningitidis. The big developments involved two vaccines – PCV-7/Prevnar-7® in 2000 and MCV4/Menactra ® in 2005 – and an adjuvant treatment – dexamethasone. Vaccination is recommended by the Centers for Disease Control and Prevention. Vaccination is particularly important for college students living in dormitories, people with compromised immune systems and travelers to sub-Saharan Africa where meningitis is endemic. Vaccines do not work against all types of bacterial meningitis. Hasbun said antibiotics are the best way to treat bacterial meningitis and are even more effective when used in combination with dexamethasone in cases due to S. pneumoniae. The authors noted that there was a significant drop in in-hospital mortality associated with pneumococcal meningitis after 2005. Limitations of the study are that it was not known how many people in the states surveyed had been vaccinated nor how many of the hospital patients had been treated with dexamethasone. Other UTHealth co-authors include Rodrigo Lopez-Castelblanco, M.D., (lead author) and MinJae Lee, Ph.D. Hasbun is affiliated with Memorial Hermann-Texas Medical Center. The study titled “Epidemiology of bacterial meningitis in the USA from 1997 to 2010: a population-based observational study” received support from the National Center for Research Resources (NIH-1 K23 RR018929-01A2).